With the content blocking feature on Firefox you can Block third-party content, like ads or code, that can slow your browsing and track you around the web. Firefox has made it possible for users to be able to customize settings for the best balance of protection and performance. So, you have been giving what you need to make your Firefox browser extremely private. Here’s how to use content blocking on Firefox. Content blocking is a collection of Firefox settings that allows you to block content that affects privacy and browsing performance. The word “Tracking” generally refers to content, cookies, or scripts that can collect your browsing data across multiple sites. Did you know that online trackers may be tracking you? The thought of it alone scares me. Firefox has provided users with tools to block these online trackers. In the past, this feature was called Tracking Protection. Starting in Firefox version 63, the functionality of Tracking Protection is included in a new set of features called Content Blocking. Now, you can get the same tracking protection by selecting the setting to block all detected trackers. When Firefox detects content that can be blocked on a website, a shield icon will appear in your address bar. If trackers or third-party tracking cookies are not found on a site, the content blocking shield will not appear and the Control Center will display the message “No blockable content detected on this page”. 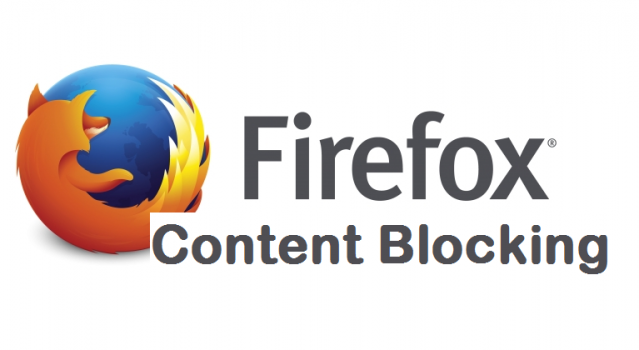 Content blocking on your Firefox browser includes settings for trackers and tracking cookies. By default, Firefox blocks trackers only in private windows. It doesn’t block third-party tracking cookies at all. You can change your options to block trackers all the time or to not block any content at all. You can also set your options to block just third-party tracking cookies or all third-party cookies. 1. Click on the utility icon at the top right. Select the Third-Party Cookies checkbox to block third-party tracking cookies. There you have it guys. We’ve come to the end of this article on how you can use content blocking on Firefox. I think this feature is an amazing feature on Firefox. Hopefully, other browsers will embed this cool feature and give users the ability to block third-party content like code. I hope this article was helpful to you, if yes, you could use our share button below to share with a friend or family member. Thanks for stopping by.